Stonewall Gazette: Ever wondered what Lady Gaga might look like as an Avatar character? Ever wondered what Lady Gaga might look like as an Avatar character? 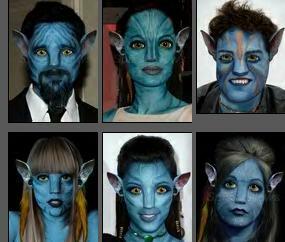 'Ever wondered what Lady Gaga, Brad Pitt, Angelina Jolie, Robert Pattinson, Kim Kardashian and Snooki from the MTV hit show Jersey Shore might look like as Avatar characters?' Well wonder no more!